DeltaLifter Technologies AS (“DLT”) of Norway has entrusted ICE with business development, project management and further design of patented vessels for cost-effective removal of the substructures of redundant offshore steel oil & gas production platform substructures (so-called jackets). The DeltaLifter is an un-manned vessel solely developed for safe removal of offshore jackets. The DeltaLifter unit is attached vertically to the side of a jacket; by manipulating the ballast, it is thereafter turned to a horizontal position and towed to a recycling yard carrying the jacket, which is then skidded ashore. The prototype DeltaLifter unit is designed for removal of jackets weighting up to 8,000 tons, in water depth between 60 and 120 meters. ICE’s initial contract from DLT is for commercialisation of the DeltaLifter concept, involving overall planning, development of promotional material, marketing, and identifying potential partners, operators and investors. ICE’s Isle of Man office will perform most of these activities, with technical assistance from Icepronav Engineering SRL as well as from the Norwegian DeltaLifter inventors. The assignment may later include development of a detail design package for construction of a series of prototype units. In the North Sea alone, more than 500 old steel platforms must be decommissioned and removed over the next decade. With the award of this important contract, ICE is well positioned to play an important part in this growth industry. 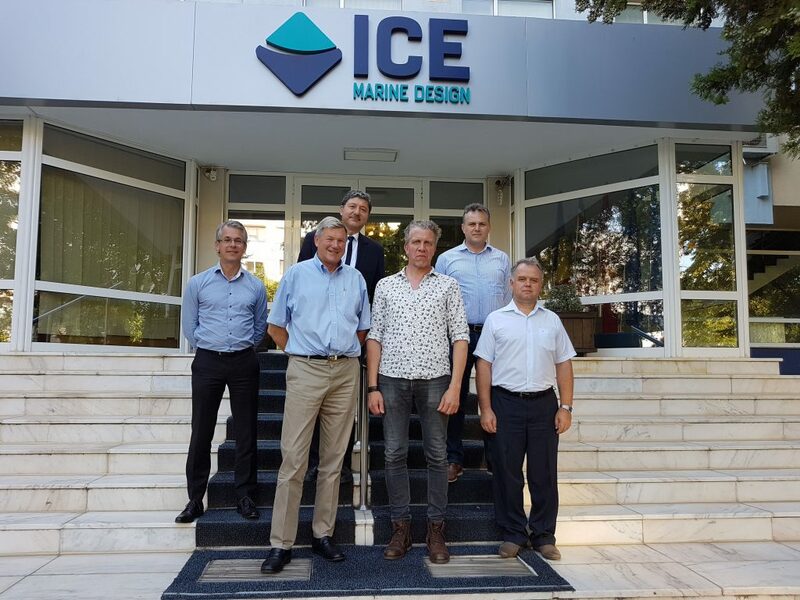 The picture shows Oyvind Johnsen, Managing Director of DLT (third from right) with ICE management.